Paul Allen’s perseverance paid off in spades when he netted this clonking 8lb 1oz chub (above) from a notoriously difficult stretch of the Dorset Stour. It was only Paul’s second fish from the stretch this winter, and it fell to a cheesepaste offering during an evening trip on the bank. He said: “The fish jumped out of the water when I first hooked it and shot off to the far bank like a very large trout or small salmon. “Luckily I managed to coax it back across some fast water and netted it first time. 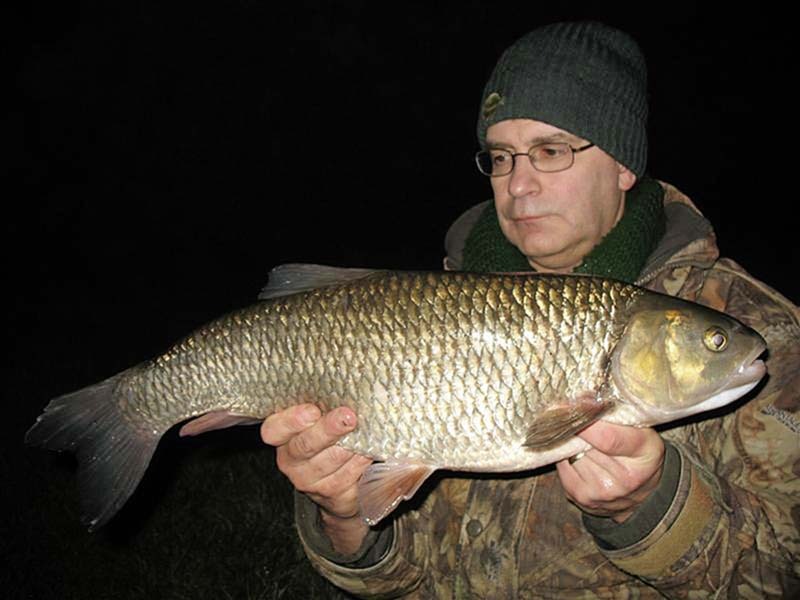 “I looked down into the landing net and there lay a very solid breeze block of a chub!